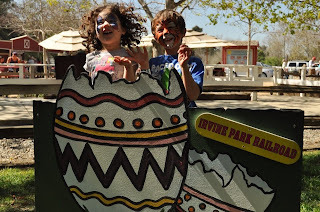 For the fourth year in a row, I brought my family to enjoy the Easter Eggstravaganza at the Irvine Park Railroad. 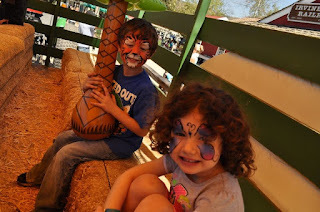 It has been so much fun watching the kids grow up through the family fun events that are incorporated into this historical park. 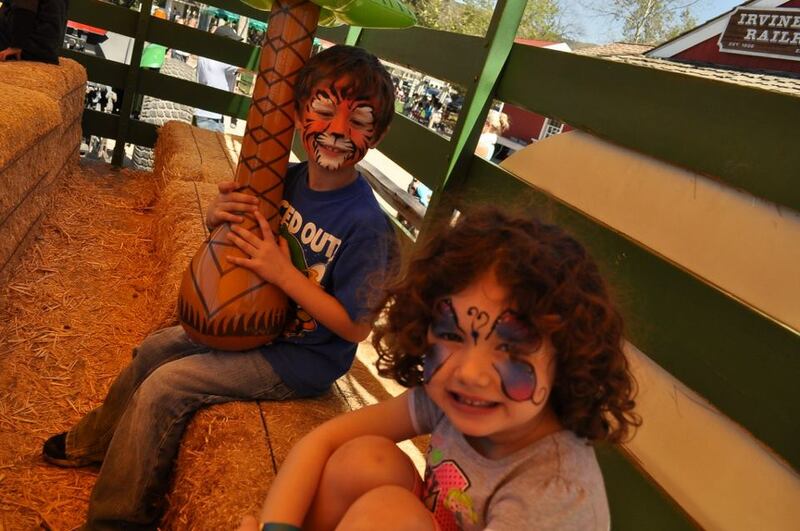 Irvine park has the OC Zoo, fishing lakes, horse riding trails and stables, educational camps/classes, and of course the holiday events that make this incredible park a great family tradition! 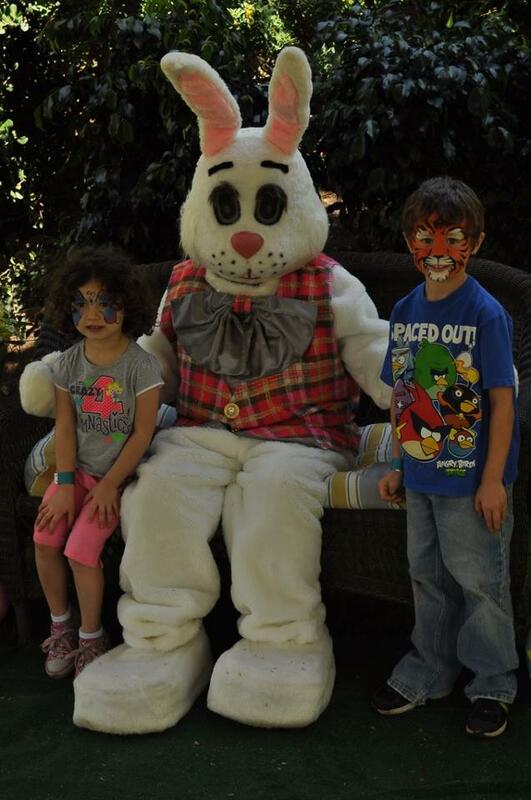 My children rode their first ponies at the pony rides and have met Santa and the Easter Bunny every year. My family loves seeing all the decorations this time of the year and the photo ops for taking Spring pictures are all over. The trees provide a great opportunity for taking cute nature photos. 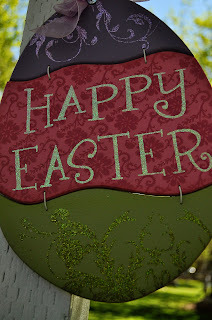 If you like the whimsical, there are the Easter cut outs through out the area. rides, hiking, and horseback riding. 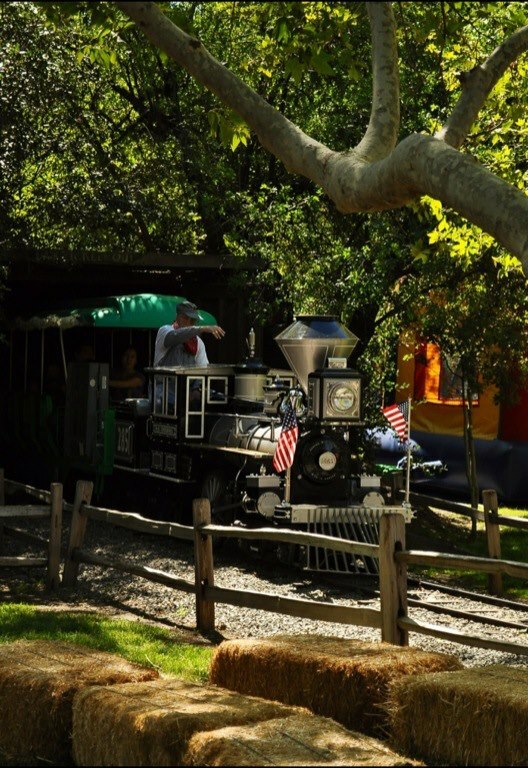 The open spaces provide great areas for birthday parties and picnics. 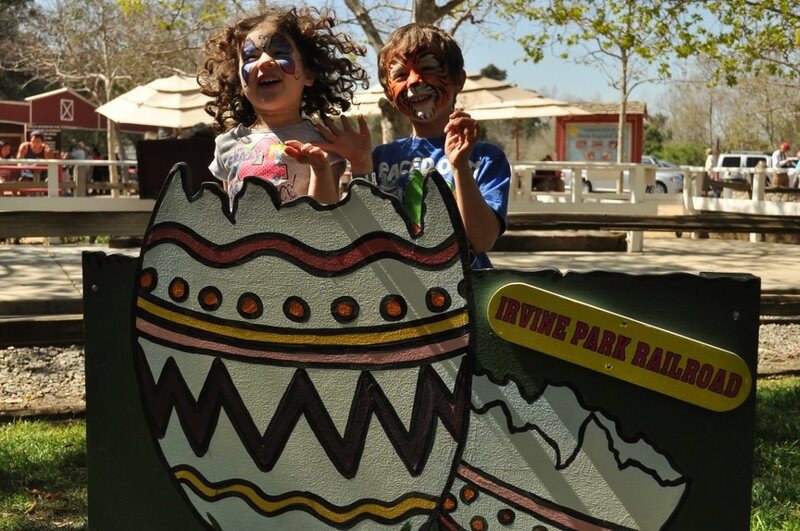 Enjoy more pictures from our outing at Irvine Park Railroad, here. This wonderful park is beautiful to visit anytime of the year but I really love the Spring time. If you would like to enjoy the Easter Eggstravaganza for yourself, enter the #GIVEAWAY below to win a package of fun and savings. There are (4) activity tickets, (1) tandem bike rental and a Calendar that provides a coupon for almost every month of the year! I would take my two kids! I would take my little guy and his best friend. I would love to take my daughters and husband.